Yoga mornings high above everything else with one of Stockholm’s leading yoga profiles, Angelica Rosenstam. 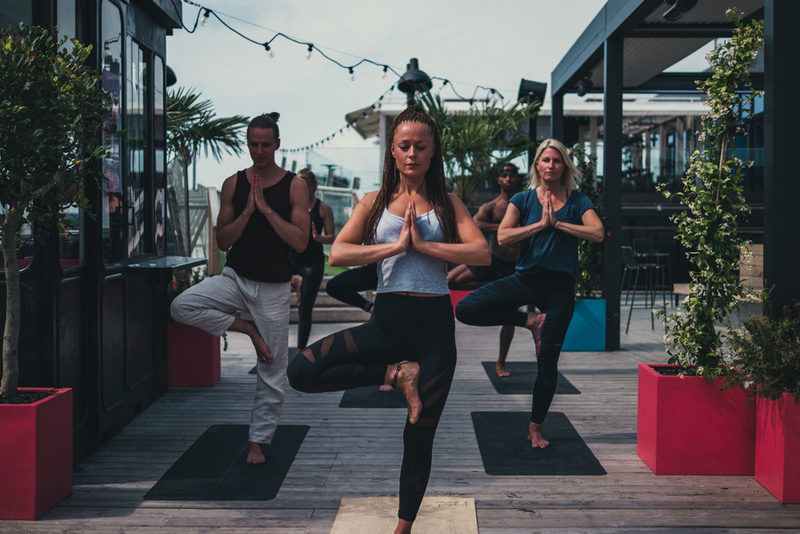 Take the elevator, and pop over the bridge for a yoga hour with Stockholm’s inlet as backdrop and the rising summer sun warming your body and mind. The price is 245 SEK (or complimentary for hotel guests) and every session ends with some juice and fruit for a great start your day. There are showers and yoga mats available so just come by and wake up to life. For both you who are new to the yoga mat and for you who is an experienced yogi who wants to go back to the basics. We start by finding deeper and more conscious breathing and then merge it with movement. The focus is on finding simple techniques to develop in your body and mind. Quiet body and mind in slow positions, performed in silence. Each position is held for 1-5 minutes. Focus on deep stretch and meditation. Together with your breath we flow from one position to the other. A physical yoga session focusing on curious thinking and playful movements. A physically and strong session for you who want to deepen every position. Challenge your body in an active flow where we strive to get outside our comfort zone.